Brilliant. Sister Agnes Walsh, the Daughter of Charity from Hull, I wrote about last year, is being honoured as a British Hero of the Holocaust by the Prime Minister at Downing Street today. The posthumous award is being given for Sister Agnes’s efforts to help the Cremieux family escape persecution while she was stationed in a convent in Cadouin in France during the war. She was recognised as Righteous among Nations by Yad Vashem in 1990 at the age of 94. She died in 1993 in Mill Hill, London. Two Daughters of Charity went to the Downing Street event to collect the silver medallion which bears the legend “for services to humanity”. Last night’s Spectator debate was stressful in parts, cheek-clutchingly painful in others but also stomach-clutchingly funny, snortingly, chortlingly, chucklingly hilarious at moments. At these debates, the punters come in with their for-or-against cards and are asked their opinion as they come in the door. Oh my godfathers, Dom Antony Sutch was running out of time, with his booming funny but serious speech urging the audience in favour of unity (selling indulgences for swing-votes), taking up a theme from Cardinal Cormac Murphy-O’Connor’s thoughtful speech. 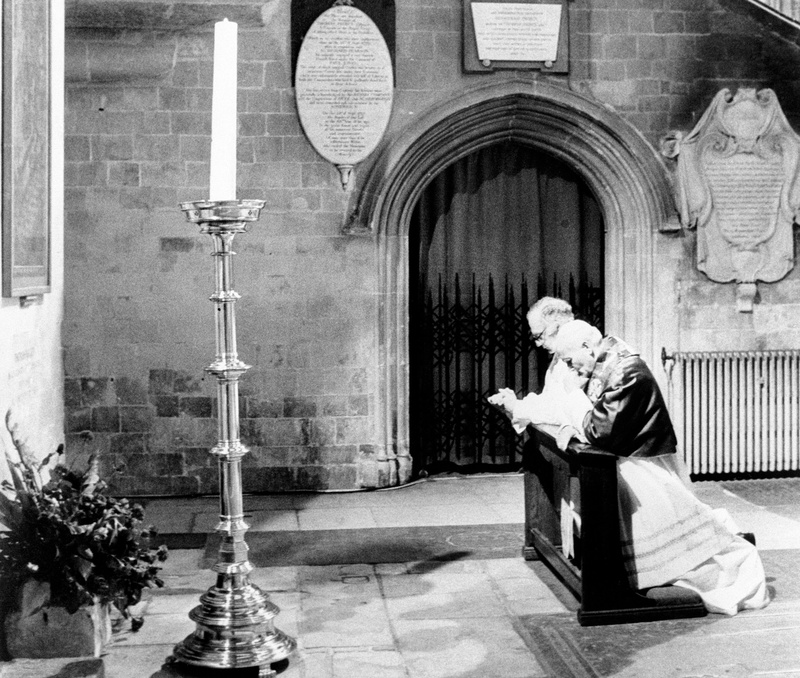 The Cardinal argued that the starting point should not be the Reformation (which had robbed England of her tradition and heritage) but rather the moment in 1982 when Pope John Paul II knelt together with The Right Revd Dr Robert Runcie, the Archbishop of Canterbury in front of the tomb of St Thomas a Becket. The author Piers Paul Read was left with the more difficult and less popular task of arguing about Catholic moral teaching, which my colleague Ed West describes on his blog. Over on the Anglo-Catholic blog, there is news of the Traditional Anglican Communion formally requesting the establishment of a personal ordinariate in the United States. The Anglicans belonging to the American branch of the TAC have decided to take up the offer made in the Pope’s November decree Anglicanorum coetibus. We, the House of Bishops of the Anglican Church in America of the Traditional Anglican Communion have met in Orlando, Florida, together with our Primate and the Reverend Christopher Phillips of the “Anglican Use” Parish of Our Lady of the Atonement (San Antonio, Texas) and others. At this meeting, the decision was made formally to request the implementation of the provisions of the Apostolic Constitution Anglicanorum cœtibus in the United States of America by the Congregation for the Doctrine of the Faith. Choosing the Common Good, the bishops’ pre-election document has just been released. Our news editor Simon Caldwell was at the presser. In the document, the Bishops of England and Wales call for a wholesale reform of public life. The document’s emphasis on marriage has prompted speculation that the bishops are urging Catholics to vote Conservative, but the bishops are calling for the return of virtue to public life. Read the whole thing here. Both parties have recently been seen to be courting the religious vote. 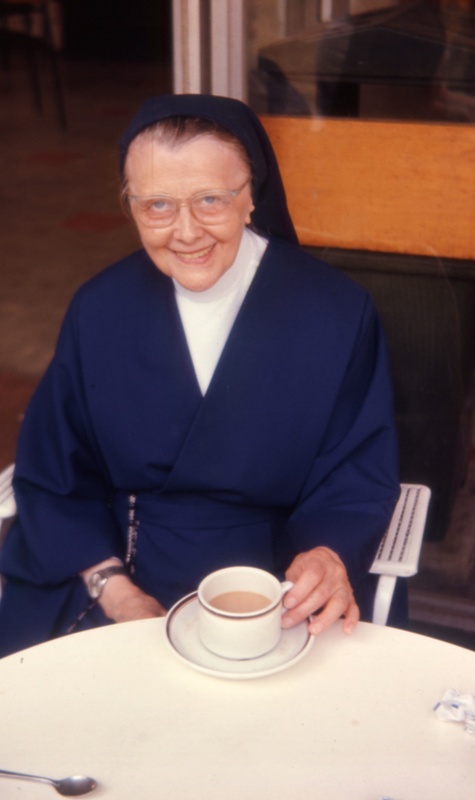 The first lay woman to serve in a Curial office has died at the age of 94. Rosemary Goldie was involved in the pre-Concilliar Permanent Committee for the International Congresses of the Lay Apostolate set up in Rome by Pius XII in 1952. She became the executive secretary of the committee, which would later form the “>Council for the Laity created by Paul VI in 1967 and served as the Curial office’s under-secretary until 1976. She died at the Little Sisters of the Poor, in Randwick in Sydney on Saturda said the Australian Catholic Bishops Conference. Here is the full article. To read about other women who were also among the first to hold positions in the Curia, click here.